We use that word so often when we talk about ultimate. “We’re not just a sport, we’re a community.” A fellowship. A group of people who share attitudes, interests, and goals, beyond the fact that we spend most of our free time chasing plastic discs through the air. 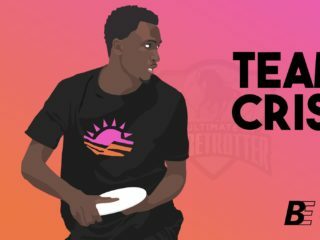 I have a unique appreciation for the greater ultimate community, simply because I started playing ultimate without any knowledge of it. 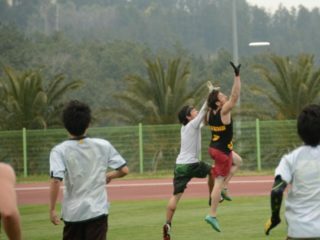 The world of party tournaments, club ultimate, and national governing bodies was halfway across the globe from uncoordinated 18-year-old Liam Rosen, who joined the college team at the University of Puget Sound for the 05-06 season. The Postmen at that time were a haggard, bearded, flannel-wearing bunch more interested in nonsensical cheers and sideline boat races than learning anything about stack offense. Our captain, Elliot Trotter, a tousle-haired character who sported GAIA cleats, neon headbands and lightning bolt earrings, tried to inspire us with stories of far-off glory, like participating in UPA Regionals, and maybe even Nationals. But national glory wasn’t of interest to me, a backhand-only, turn-around-and-dump-it cutter on our last-in-section team. Ultimate was just a way for me to run around with some of my friends, and like so many activities during college, I drifted away from it. By the spring of 2007, I had left the sport for good. 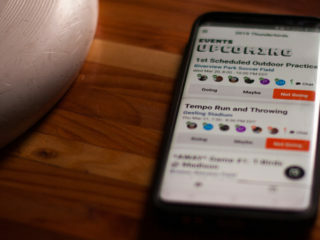 In October 2010, Elliot brought a group of us former college teammates together and pitched us an idea: an online magazine for the sport of ultimate. The idea seemed implausible. What authority did six recent graduates sitting in an Indian restaurant in Tacoma, Washington have to write about ultimate? But what we lacked in knowledge, we made up in zeal. I’ve always had an editor’s eye, and I volunteered to do the final edits on all of our articles. In doing so, I began to absorb knowledge about the worldwide ultimate community. 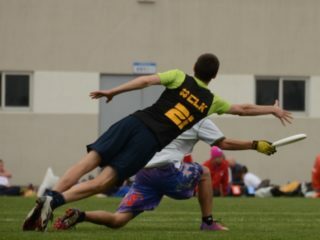 I learned that Andrew Fleming had made a spectacular layout grab at WUCC 2010 and had been featured on SportsCenter. I learned about beach ultimate in Slovenia. I learned that Beau Kittredge jumped over a guy. I began to realize that ultimate was more than just another of the many sports I had played. There was something special about ultimate players, coaches, and fans the world over. Everyone I met shared the common values of spirit, togetherness, and enthusiasm for a sport which the world had not yet discovered. I, like many players before me, and many players yet to come, became an addict. I moved abroad and started to play competitively again. As I traveled, I was shocked by the hospitality and generosity of the ultimate community. Wherever I looked, no matter the country, I found engaged, passionate, intelligent people, each with their own story. Like the expert dumpster diver that minimizes waste while feeding his local community. Like the medical student just beginning to realize his potential as an elite athlete. Like the organizer that dedicates her life to raising the level of ultimate in her country. Like the feared hucker retraining himself to throw with his off-hand after a serious injury. Like the artist that animates hand-drawn narratives in pursuit of social justice. Like the confident warrior that led her open team in goals scored at nationals. Like the young trainer building towards creating the next generation of ultimate athletes. Like the voyager that bikes across countries to spread his love of the sport. Like the physical therapist just as passionate about healing her patients as excelling on the field. Over the years, I have competed with and against these players, and so many others like them. I’ve sweated with them on the track and they’ve thrown to me on the field. I’ve shared bar stools with them and they’ve talked shop with me. I’ve slept on their couches, and they’ve slept on mine. In 2016, Skyd will be working more closely to highlight unique voices like these and bring them to the wider ultimate population. Any coach, athlete, player, or fan with a unique perspective will be able to use Skyd as a platform to share their thoughts, stories, and ideas. 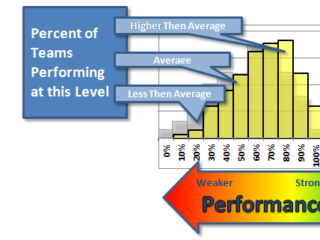 The first step Skyd will be taking this year is changing how we view ourselves as an organization. I’ve always valued that, in line with our sport’s do-it-yourself nature, Skyd contributors like Elliot Trotter, Zack Smith, Tyler Kinley, Jonathan Neeley, and Robyn Wiseman share a thirst for competition as much as their excitement for writing, editing, and coverage. We consider ourselves an integral part of the community, not an external force or a money-making venture. In the coming weeks, we will be sharing details of how this new vision affects Skyd as an organization, our plans for the coming year, and how the community can support us in our quest to celebrate the sport of ultimate with honest, original content. I hope you’ll join us in continuing to read, share, and contribute the great content and writing that has shaped us as a publication over the last five years.